Oh, no Morty, we’ve gone back in time to 1983. You know how fucked up things can get when you travel through time. I mean, we did a whole episode on that. Strange things start to happen with you screw with the timeline. Like, look, my face is starting to open up into a quintuple hinged mouth flap! How is that supposed to happen? And why is your nose bleeding. 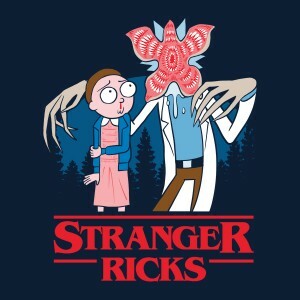 You look good in that dress, though, Morty. You’re a regular… a regular belle of the ball. Don’t worry, I’ll eat your head fast so you won’t feel it.